“What happens here next week?” asked a librarygoer as she plopped a stack of books on the counter. Of the new library positions available — two full time and two part time — the Athenaeum has already announced one hirings: Donna Stinehour has been named a part-time associate librarian. She has served the Athenaeum for the past year as part-time staff, filling in for other librarians. And as full-time librarian, Shara McCaffrey. She joined the Athanaeum as an assistant librarian in 2001. Another recent appointment is that of Joly as curator of the art gallery. After almost a decade serving library patrons, on Friday he will begin his new task of tending to the 100 oil paintings, 80 art books and 20 sculptural objects that represent the legacy of the Athenaeum’s founder, industrialist and philanthropist Horace Fairbanks (1820-88). It is one of the country’s oldest unaltered 19th-century collections; the gallery receives about 8000 visitors a year. The position of curator at the Athenaeum was last held by Sally Lawrence, who created the docent program during her decade-long tenure through the 1990s. In 2005, Mark D. Mitchell, currently the associate curator of American art and manager at the Philadelphia Museum of Art, wrote St. Johnsbury Athenaeum: Handbook of the Art Collection. The guide is intended to inform viewers as they consider works that were current when Fairbanks first began to acquire them in the mid-1800s. Docent Garrison’s paid position ends this Friday. Having started out as a volunteer in the gallery in 2006, she eventually became one of two paid docents and acted as docent manager, scheduling the 15 volunteers until Joly added that role to his other library duties last year. Clearly relieved that he will not have to search for new employment, Joly said he’s excited to reinvigorate the presentation and interpretation of the works in the collection. “To some extent, we’ve just been maintaining this 19th-century space,” he observed. Joly’s plans for the gallery — which is currently free to St. Johnsbury residents; others pay an $8 donation — include showcasing some of the library’s 1000 original leather-bound books, as well as hefty illustrated art tomes that Fairbanks purchased to accompany his collection. In addition, Joly envisions exhibiting works from other museums and galleries to complement the Athenaeum’s predominantly Hudson River School paintings. But the new curator’s defining role will be to generate greater revenue from the collections; this, according to an open letter from board chair Bill Marshall, is the prime reason for the position. Deep concerns over serial budgetary shortfalls, combined with overreliance on the Athenaeum’s endowment, have board members alarmed about the institution’s long-term viability. Staff restructuring is just part of the board’s strategy to address unsustainable spending. As Joly looks ahead, the group Neighbors in Support of Athenaeum Staff is not letting go of the past. An outgrowth of the “Hug the Athenaeum” protest outside the library on January 12, the group is calling on the trustees to delay implementation of the staff layoffs, which many considered an extreme move. In a letter sent via certified mail to Marshall, the Neighbors also invited board members to attend a public forum on Saturday, February 2. It is not known yet whether any board members will attend. Marshall said he expects that new initiatives related to the art gallery will stimulate research. 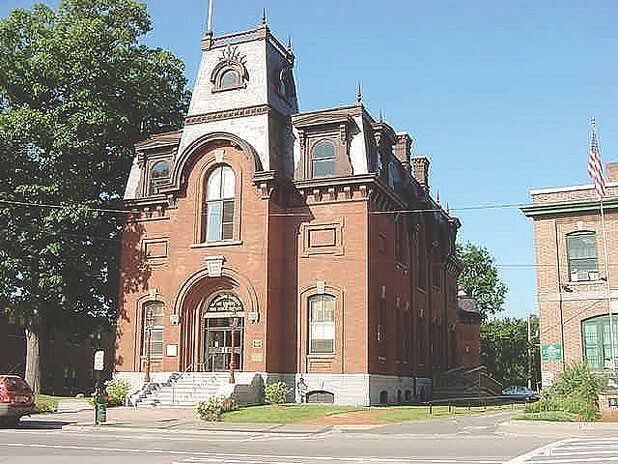 Future plans include working with St. Johnsbury Academy ninth graders as part of their capstone project, and collaborating with nearby Catamount Arts to use the gallery and collection in arts education.